Posted on 03/08/2019 by Parklifer	in Preview and tagged Dave Alvin, Los Angeles, Los Lobos, punk, rockabilly, roots, The Blasters, The Flesh Eaters, Union Stage, X. 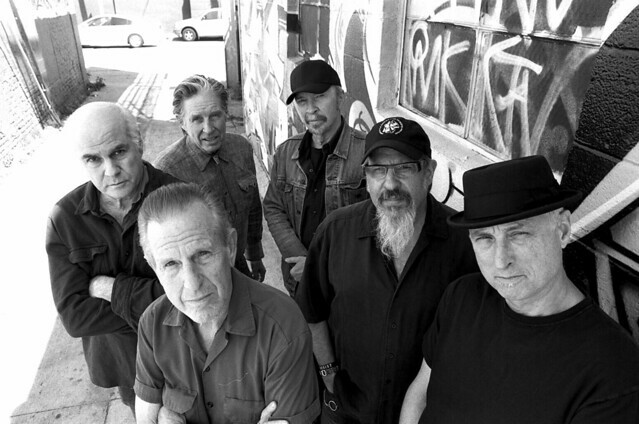 The classic lineup of The Flesh Eaters — consisting of John Doe, DJ Bonebrake, Dave Alvin, Bill Bateman, Steve Berlin, and Chris D — has reunited and published a new album, I Used to Be Pretty, released in January via Yep Roc Records. And The Flesh Eaters are touring with a show at Union Stage on Saturday, March 16. You can win tickets to go with Parklife DC. Posted on 09/11/2018 by Mickey McCarter	in Live Review and tagged Black Cat, Echo and the Bunnymen, Gary Numan, Joan Jett, Klaus Nomi, new wave, OMD, Orchestral Manoeuvres in the Dark, post-punk, punk, The Fleshtones, The Go-Go's, The Police, Urgh! A Music War, X, XTC. Urgh! A Music war, a cult-classic concert film, straddles divides across new wave, punk, and post-punk acts performing in 1980. Parklife DC screens the film at Black Cat on Monday, Oct. 1. Admission is free!